Increasing and maintaining adequate muscle mass is one of the best ways to keep body fat at bay and to improve overall fitness, particularly as you age. Resistance exercise such as lifting weights is the best way to build muscle mass. Still, the number of women who actually participate in any formal or consistent weight training workout is extremely low. Women who exercise are spending most of their gym time on cardiovascular exercise. Whatever your reasons for avoiding the weights, if you are a woman, here are 10 reasons why you need to take strength training seriously. If you aren't interested in going to a gym, you can still get a good weight lifting workout at home with very basic equipment including dumbbells or kettlebells. You Will Be Physically Stronger: Increasing your strength will make you far less dependent upon others for assistance in daily living. Chores will be easier, lifting kids, groceries, and laundry will no longer push you to the max. If your maximum strength is increased, daily tasks and routine exercise will be far less likely to cause injury. Research studies conclude that even moderate weight training can increase a woman's strength by 30 to 50 percent. Research also shows that women can develop their strength at the same rate as men. You Will Lose Body Fat: Studies performed by Wayne Westcott, Ph.D., from the South Shore YMCA in Quincy, Massachusetts, found that the average woman who strength trains two to three times a week for two months will gain nearly two pounds of muscle and will lose 3.5 pounds of fat. As your lean muscle increases so do your resting metabolism, and you burn more calories all day long. You Will Gain Strength Without Bulk: Unlike men, women typically don't gain size from strength training, because compared to men, women have 10 to 30 times less of the hormones that cause muscle hypertrophy. You will, however, develop muscle tone and definition. This is a bonus. You Decrease Your Risk of Osteoporosis: Weight training can increase spinal bone mineral density (and enhance bone modeling). This, coupled with an adequate amount of dietary calcium, can be a women's best defense against osteoporosis. You Will Improve Your Athletic Performance: Strength training improves athletic ability in all but the very elite athletes. Golfers can significantly increase their driving power. Cyclists are able to continue for longer periods of time with less fatigue. Skiers improve technique and reduce injury. Whatever sport you play, strength training has been shown to improve overall performance as well as decrease the risk of injury. 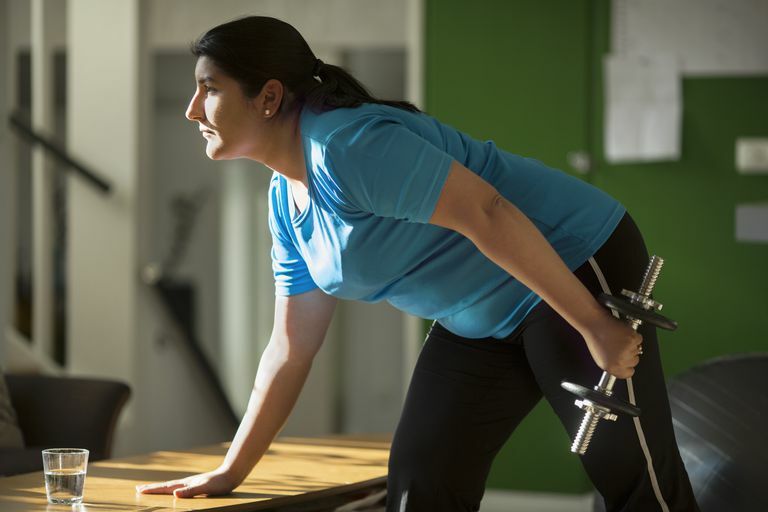 You Will Reduce Your Risk of Heart Disease: Weight training can improve cardiovascular health in several ways, including lowering LDL ("bad") cholesterol, increasing HDL ("good") cholesterol and lowering blood pressure. When cardiovascular exercise is added, these benefits are maximized. You Will Reduce Your Risk of Diabetes: Weight training may improve the way the body processes sugar, which may reduce the risk of diabetes. Adult-onset diabetes is a growing problem for women and men. It Is Never too Late to Benefit: Women in their 70s and 80s have built up significant strength through weight training and studies show that strength improvements are possible at any age. Note, however, that a strength training professional should always supervise older participants. You Will Improve Your Attitude and Fight Depression: Women who strength train commonly report feeling more confident and capable as a result of their program, all important factors in fighting depression. Seguin RA, Epping JN, Buchner DM, Bloch R, Nelson ME. Growing Stronger. CDC. Westcott WL, Winett RA, Annesi JJ, Wojcik JR, Anderson ES, Madden PJ. Prescribing Physical Activity: Applying the ACSM Protocols for Exercise Type, Intensity, and Duration Across 3 Training Frequencies. The Physician and Sportsmedicine. 2009;37(2):51-58. doi:10.3810/psm.2009.06.1709.